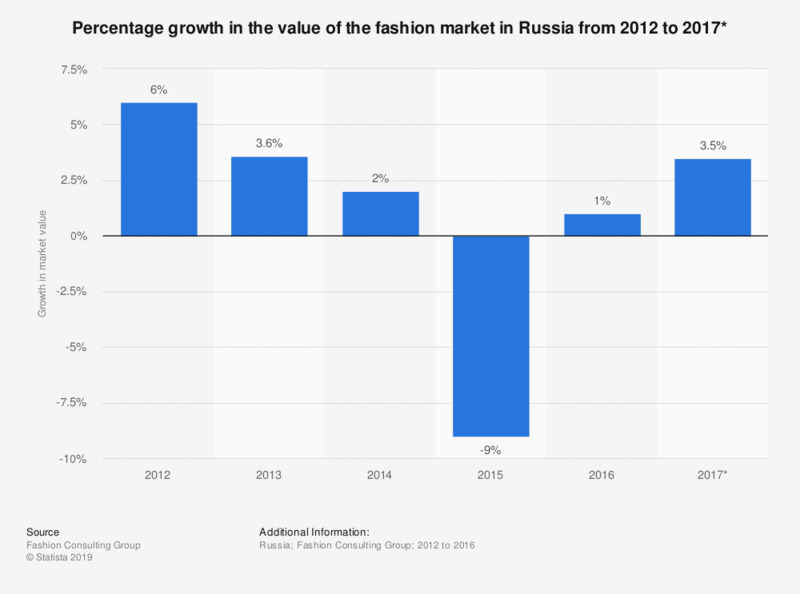 This statistic displays the percentage growth in the value of the fashion market in Russia from 2012 to 2017. Over the time period observed, there was an increase in the value of the Russian fashion market in all years, apart from 2015, when the market fell by nine percent. In 2017, the fashion market is forecasted have grown by 3.5 percent. * Figure for 2017 is forecasted. Everything On "Apparel market in Russia" in One Document: Edited and Divided into Handy Chapters. Including Detailed References.